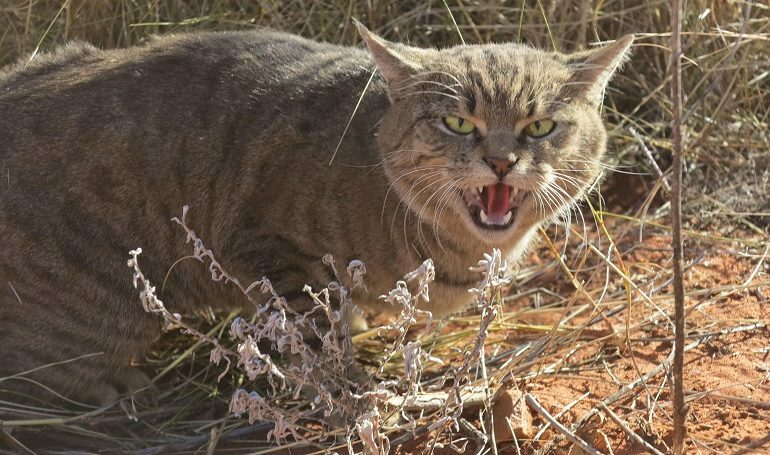 Feral cats are wild cats that are not accustomed to living with humans but according to Kentucky law, any feral cats on your property must be vaccinated. That’s all going to change after the Kentucky Committee unanimously passed a bill that would remove that part of the law. Senate Bill 125 would only keep the part about pets such as cats, dogs, and ferrets being vaccinated by four months of age. Republican Senator Paul Hornback proposed the bill. He says the bill just makes sense. “All of us have feral cats. It’s not something that’s enforceable. It’s not something that’s reasonable to do, but it’s something that if the right person got a hold of it, and pushed you to make those reasonable efforts to capture and vaccinate those cats. You know sometimes it might not even be safe to catch them; they recoil away. They claw, and everything else, so it’s just not a good idea to have it in there. It’s one of those statutes that I felt like is easy. I know it doesn’t make a lot of sense. It catches a lot of hype around here, talking about feral cats, doing that. But, I do think it’s a good bill,” says Sen. Hornback.